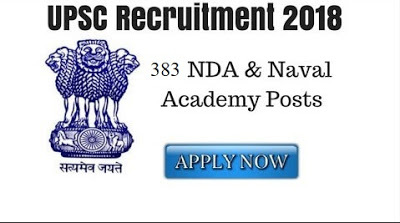 UPSC NDA 2018: NDA II Exam 2018 notification has been released today by the UPSC on its official website. The registration has started on June 6, that is, today and will continue until July 7, 2018. Educational Qualification: Candidates must have passed 10+2 (12th) or its equivalent with PCM from any recognized state or central education board. ST/SC/Sons of Serving/ex-Junior Commissioned Officers or equivalent: Nil.